Boston Commercial Properties is a full service commercial real estate brokerage and consulting firm. We specialize in assisting emerging and established companies with identifying and finding solutions to their space needs and the marketing of commercial properties. We strive to create and deliver real value for clients and to establish enduring client relationships built on quality service, collaboration and trust. Business owners face important decision relating to their facilities as real estate is one of the most costly operating expense items and is critical to business operations. Boston Commercial Properties places a high priority on finding the best real estate solutions for business owners and has a very thoughtful approach to addressing all of our clients’ real estate needs. Our clients benefit from over 30 years of experience, in-depth knowledge of the marketplace, entrepreneurial approach, superior customer service and nimble responsiveness. We have the capacity to handle very sophisticated real estate transactions and we provide innovative solutions to achieve our client’s objectives. Our integrated approach to commercial real estate services is built on insight, sound market research and relevant knowledge. Our commitment to business success goes far beyond the bottom line. Thank you for considering us as your resource in the commercial real estate industry. Warren is the Founder and President of Boston Commercial Properties, Inc. which he established in May of 1989. 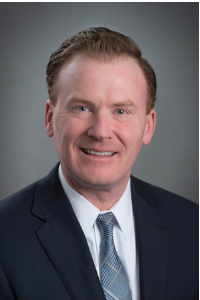 He is a member of the Commercial Broker’s Association of the Greater Boston Real Estate Board and the Newton Needham Chamber of Commerce. He received the CoStar Power Broker Award in 2011, 2012, 2013 & 2018. Warren has a Bachelor of Science in Administration and Management Science and Economics from Carnegie Mellon University. He lives in Newton with his wife, two daughters and their golden-doodle. JP is founder and principal of Red Dome Realty which he established in 2015. 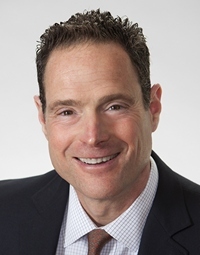 He has been active in the Greater Boston commercial real estate industry since 1993 with focus on office and industrial properties in Boston and surrounding areas. Boston Commercial Properties and Red Dome have successfully completed several strategic partnerships including representation of the Brooke Charter School for their new high school in Boston and the sale of the Uno Pizzeria corporate headquarters in West Roxbury. He is a member of the Blue Hill Business Group, Clover Club of Boston and Dorchester Board of Trade. JP is a graduate of Boston College and lives in Milton with his wife, son, daughter and labra-doodle. He is very active in the local community including the Noble & Greenough School Campaign Committee and Milton National Little League Vice President of Board of Directors & coach.